TRUTH: Alzheimer’s is more than memory loss. 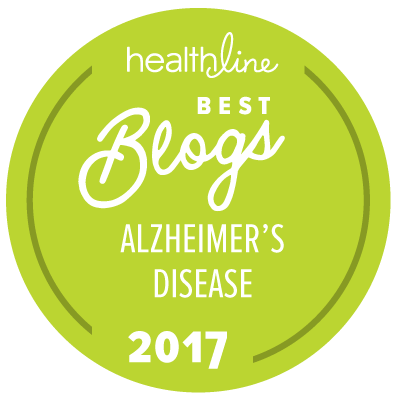 It is common knowledge that Alzheimer’s robs people of their ability to remember, but other truths about the disease remain unknown. This June, we are debunking harmful misconceptions that keep people from seeking a diagnosis and that reduce access to needed resources and support services. Uncover the truths and take action to help end this disease. Julia Balson, a slight, red-haired woman with a big smile, English accent and twinkling eyes, now knows that Alzheimer’s disease affects 47 million people worldwide, a growing percentage of which are younger than the age of 65 . She knows this ugly statistic because her beloved husband, Mike was diagnosed at age 58. “But isn’t Alzheimer’s an “older person’s” disease,” I ask her? I know this is what a lot of people think, so I put the question out there. She sighs heavily and tries to steady her vital, yet sad voice, “Unfortunately not,” she finally says. Mike and Julia Balson, along with thousands of others living with younger-onset Alzheimer’s disease need the world to know that while theirs is a true and lasting love story, the reality of Alzheimer’s isn’t what’s depicted in The Notebook. This disease doesn’t just affect “old people” or the ability to remember at the end of one’s life. Married for more than 47 years, the Balsons are world travelers who have adapted to many global cultures during their life together. Like many couples, they’ve had children, challenges, joys and regrets. But one thing they never planned for, or ever thought about, was the possibility of Alzheimer’s wreaking havoc on their family. Mike was a strong, elite athlete who played professional soccer on the international circuit for more than a decade. He played on big teams in the U.K. and, at one point in his playing career, moved his family to South Africa to join a professional team there. The family had to eventually leave due to the overwhelming violence from the Apartheid riots in the area. So, Mike and Julia, no strangers to adversity, felt they could take on any problem that came their way. When Mike started showing signs of mental “fogginess,” they both dismissed it (or denied it, as Julia tells me later) until the symptoms became so apparent one day when Mike filed his paycheck in one of Julia’s cookbooks. Despite such a difficult diagnosis, they both maintain sunny dispositions and a strong desire to help others in similar situations. I recently had the privilege of speaking with Julia and Mike about their journey with Mike’s diagnosis. Both of them were quick to offer advice about love, acceptance and living with Alzheimer’s disease. Tell me a little bit about being married for 47 years. How has your partnership helped you face such a devastating disease? Julia: Big factors for us are hard work, accepting the ups and downs, our faith in God, and our hope for advances in research. I think it’s also important to love and respect each other and try to ignore each other’s faults. No one is perfect! We look for ways to serve each other, and put each other’s needs above our own. We definitely try to encourage each other; and we make it a point to laugh a lot. Now we hold the motto that unless a situation is life and death at the moment, we don’t worry about it. Mike: Never give up; it’s so easy to give up when you’re faced with this kind of situation but you just can’t. Julia, when did you first realize there was something “off” with Mike? How did you respond to this? Julia: Two things stand out. I found a paycheck in a cookbook. This was odd because Mike had always been so on-top of everything. Also, his driving abilities seemed to be declining. Honestly, I panicked at first and then I was definitely in denial. We ended up getting help through the Alzheimer’s Association much later on; looking back, we should’ve reached out earlier, but I was scared and felt helpless and isolated. Mike, what about you? When did you first start noticing things? What did you notice? Mike: Things just weren’t right, but I couldn’t figure out exactly what wasn’t right. And, I don’t think I could accept it. I kept asking for directions to go to work), and it once took 20 minutes to do a bank deposit which was unusual because I always had a keen mind. What did you do when you noticed these behaviors? Can you take us through the time you began to notice problems, through getting the diagnosis? Julia: We didn’t do anything at first. Eventually, we realized we needed to get help because Mike was struggling with day-to-day tasks. Initially, Mike was diagnosed with Mild Cognitive Impairment (MCI). We later got the diagnosis of Alzheimer’s disease. What has been the biggest change to your relationship since the diagnosis? What do you find to be the biggest issues you have to tackle on a daily basis? Julia: I’d say our biggest change has been the role reversal, because I now have to take care of everything that Mike used to do, like all the driving, the financing and household stuff. I also have to help Mike choose clothes (he would sometimes dress awkwardly with clothes in the wrong order, or not seasonally appropriate), make sure he takes his medications properly and make sure he is bathing correctly. I know it upsets Mike that he isn’t able to take care of me like he used to, but I am a pretty strong person and can take care of myself, so I don’t mind that as much. Mike: The lack of driving ability is upsetting and it’s a struggle to remember day-to-day details. It is also upsetting that I can’t take care of Julia like I used to. I have a problem remembering to eat – Julia will leave food prepared for me and I’ll forget about it completely. Also, I’m trying to work on interacting with others. What helpful adjustments have you made that you can share with other couples living with Alzheimer’s? Julia: A key thing for us is to write everything down – appointments, instructions, reminders, etc. Writing everything down really helps Mike remember to do things. When I was in denial, I didn’t write everything down and that would get frustrating for both of us. Now we keep a calendar on hand with everything written down. I also joined an Alzheimer’s Association support group; I’ve found that spending time with others on the same journey is a great comfort. I take Mike to the Memories in the Making art classes; it’s something he’d never done before but really now enjoys. Another big thing was to accept the changes, to recognize that there is life after the diagnosis even though it’s never going to be the same as it was. Working with the Alzheimer’s Association, what do you regard to be the most beneficial support services they provide? What would you suggest to a couple who is just receiving a diagnosis? Mike: Their monthly couples support group has been our biggest lifeline. When all this started, Julia was constantly stressed and ill from trying to handle everything on her own. Julia: There is a church service the first Wednesday of every month that has been very important and beneficial for us. To anyone who is just receiving a diagnosis – don’t panic. There are so many resources offered by the Alzheimer’s Association. They can get help by joining a support group; the staff are kind and wonderful, and no one should go through it alone. Also, remember that there is life after an Alzheimer’s diagnosis – it’s different, but there is life. If you could tell people one thing about life after diagnosis, what would it be? Julia: You should appreciate every day that you have together as a blessing from God and take life one day at a time. No matter how much you love each other – or the person you are caring for – you still get frustrated sometimes. Take time to sit and say “let’s regroup” when you are frustrated or upset with each other. Mike: I would say to remember that caregivers must take time for themselves because life as a caregiver can get challenging and overwhelming. The Balsons hope that sharing their story will encourage others who may be dealing with similar struggles and fears. Though Alzheimer’s is more than just losing memories, Mike and Julia will be the first to remind you that it doesn’t have to mean losing love. Mike and Julia will be going purple this month in honor of Alzheimer’s & Brain Awareness Month. You can join them and learn more by visiting alz.org/June. This post originally appeared on https://alzcnfl.wordpress.com/. My husband was diagnosed in 2006 and I can see improvements in all things associated with this disease. When he was first diagnosed, I did not know where to get any help and the Dr had nothing to offer me. The monthly support group saved my life. To share what was going on in my life and see that others were experiencing the same thing was a great help. My husband died at the age of 78 Jan, 2013 from complications. We had a good marriage and to this day I still miss him so much. It's my hope that research will continue and a cure will be found. I worry about my children getting this disease. This story was like mine. Thanks for sharing. My mom has advance Alzheimer’s and she was told in 12 she has early on- set. She’s now turn 69 and is in a unit. Her husband tried his best to take care of her. He was twenty two years older than she is and when I had her put in a hospital in 13 I was told it was moving fast. I watched her close with battling him in denial and not wanting to go into a home. Well in 15 I had no choice he went into the hospital and she went into the behavior hospital for the second time. So they both went to the unit and he just passed last month. I go to no support group just on sites or blogs of others in my shoes. My dad has dementia and so I deal each day one by one. But I do know you need help and it’s good to have all wills updated and the right insurance. My mom didn’t plan well so their house is in foreclosure and medical bill won’t ever be paid. But I could care less about that, keeping her safe and calm is what I focus on these days. Good luck with anybody going through this hell. Susan, so sorry to hear about your loss, your struggles but please try to stay strong. Hell is right. I don't know if our family will ever recover from this experience after losing my father in 2014 to Lewy Bodies dementia which is Alz plus Parkinson's (yeh). It destroyed all of us as caregivers both emotionally and physically. God bless you for trying. We have been married 48 years and Bob was diagnosed with early onset Alzheimer’s disease about 6 years ago. We had retired and moved to a southern state with plans to play and travel. Unfortunately this move has made my life very difficult because I have no family to assist me in his care. I have suggested we return to our home state but he is adamant about wanting to stay where we now live. I find life very difficult and lonely. My husband and I have been married for 37 years this past March. My husband was diagnosed with early onset about 6 years ago, too, at the age of 56. We also moved south, but we moved because he wanted to pursue his bachelor of ministry degree after losing his job with Verizon. We moved in 2006, and he was diagnosed in 2010. I also do not have family close who can assist me with his care, but I do have church friends who are willing to help me. We also now have a support group at the congregation where we attend church. By the way, where did you use to live, and where are you now? If you have not read it please read A Loving Approach to Dementia Care. You will have a greater understanding of the stress you are under. My husband and I were planning to do the same regarding moving south and traveling, however, the diagnosis came first. You need your family and friends. I struggled with taking control of everything as my husband was the head of our home. When my husband was first diagnosed he made the statement that God had allowed him to get this disease and had given me to him to take care of him. Move back so you can love yourself, in order to take care of him with a greater of love. Hi Susan, Like you, my husband and I moved south and away from the majority of our families, including our children. My husband is 65, and has shown signs for at least 4 years. I'm fortunate to have his sister and husband nearby. Because I was depressed and lonely,I realized that I needed to make friends and get out of the house. I sought out a Caregiver Support Group, and am very fortunate to have a wonderful one in our town. I've made friends with several of the younger wives and we try to meet for breakfast and lunch every 2 weeks, and stay in touch by phone. In addition, my husband and I do some volunteer work that we can do together. One is that we deliver for Meals on Wheels. Even though he doesn't drive and I'm really doing the work, he enjoys getting out and seeing the people (who he doesn't remember every time), and he tells people that he feels good about helping others. He is also walking dogs at an animal shelter with someone else. We started helping to cook at a soup kitchen. Once again, we are working as a team, and he needs a lot of guidance, but the other people are very patient. If you're not getting out of the house alone, then you need to find someone who can come in as a companion or aide. Sometimes churches have people that will volunteer to sit with someone for awhile. My husband is very happy here, too. We're about 15 minutes from the beach, the weather is better, and people here are friendly. It's very important to get out. However, remember that you are in charge now, and if it is best for you to move, than you should do that. It becomes very difficult to travel to see your loved ones, and without some support, you will become more isolated. Best of luck to you! Thank you! It is so reassuring to meet others traveling along similar paths. I am a very lucky woman. When my Mother (whom I live with) began showing signs of dementia, I was only a few of years away from being able to retire with full benefits. My younger sister’s mother-in-law was already in the depths of Alzheimer’s disease so her family had already been dealing with this horrible disease. When I was able to retire I did so that I could spend as much time with our Mother as possible before she was unable to function. It has been almost 4 years since retiring, I am now 59 and my 84 yr old Mother’s short term memory is totally gone and her past memories get mixed up together. She actually drove until last November. That is when one day she left the house to go to her friend’s house 5 miles away around 2:30 pm. By sunset I knew something was wrong because she had stopped driving in the dark several years ago. We did call the police and they put out an Amber alert for her. We were all praying and through Angels put in her path by God brought her home to us and we had her home by 10 pm. That was the most terrified I have been during this whole time. Taking away the keys was a group effort for me, and my younger and older sisters. But now she realizes she would not be able to find her way home anymore if she accidentally made a wrong turn. Now our daily schedule includes taking her out everyday to buy a newspaper and drive around town so she can tell me “that’s where I was born”, “that’s where grandma lived”, “we used to walk to town on this road”. She does ask me the same questions within a few minute of me answering now but I try to breath and if I feel like I’m getting cranky, I’ll change the subject quickly to something else. We were blessed with adopting a very sweet kitten over a year ago and she is a perfect distraction when things get hairy. I also try to laugh as much as possible with her, I know it’s not nice but we raise our eyebrows when we see someone with a strange hairstyle or fashion choices. I tell her she’d look good with a pink Mohawk like that lady’s and Mother tells me “You try it first and then I’ll let you know”. She still has her sense of humor, Thank God! Sadly my sister’s mother-in-law passed a year ago in Jan. but even though they still have very busy work lives and I know it causes my brother-n-law sadness to visit my Mother they still make sure they come over every week to visit us. If I need anything they are here to help and when we had to go to the emergency room a couple of times they are always there with me. My older sister comes to town every 3 to 4 month to give me 3 days away, her and her husband get me 2 nights in a hotel anywhere within driving distance (just in case I need to get home fast) so that I can relax and recharge my batteries. I just spent last weekend at a theme park riding all the roller coaster screaming, laughing and giggling until I was worn out. Mother and I do have my brother living with us, but he has had personality issues all his life so he stays in his room A LOT. They have never gotten along and now it’s harder, but he helps me with daily choirs and yard work so I am free to take her out everyday. He is doing what he can to do his part even with his issues and I truly appreciate that too. I have family to help me and I feel truly blessed. I think if you need to, call your family and ask if they can help you with anything. Laundry, cleaning, grocery shopping anything and 9 times out of 10 they will be there for you. Susan V. you may need to go ahead and arrange a way to get back home. With your husband diagnosis, you may have legal right to sell the house and arrange it on your own especially if things get really hard. Find your local organization, they will help you more than you know! God bless you all and remember help is there, find it, ask for it! You’ll be surprised at the response. Thank you for sharing. After 46 yrs of being married , 4 days later my husband passed away of alz. So much happened the last 6wks of his life. Family birthdays (son, his and mine plus others) our Anniversary, Thanksgiving. and Christmas. No one would keep him and we would get kicked out of the facility. He was too mobile for them, a fall risk. I stayed everyday with him, averaging 10-12 hrs a day. The last 2 wks he was in Alive Hospice. They were a blessing from God. I’m a strong person but never believed I could do what I had to do. We did have to agree to 24 hr care for him while he was in Hospice. I would stay 48hrs and 8 hrs off to sleep and shower at our home. It is a horrible disease. My husband was an Architect with his own firm. But as the disease progressed, the business was lost. He had a genius I.Q., kind, gentle, wonderful husband, father and Christian man. I’m still crying everyday and asking why. My faith, children, grandchildren and friends sustain me. In the end he did curl up and his brain forgot to tell him to swallow. The hardiest is when you cannt give them any drink or food. Then his last 12 hrs, his brain was forgetting to tell his heart to beat. I was honored to be with him when he passed. Hospice was so kind. I layed next to him for the next 1 1/2hrs before the family began to arrive. I feel so blessed I had that time alone with him. His last words to me were 2 days before and they were “I Love You”. He was 65 yrs old and I will love him and miss him until the day God joins us together again. I do have some comfort knowing he is waiting for me. My heart is with you and remember the hard times will pass, I promise you. Blessings to you. Rough journey for sure, my beautiful wife was diagnosed when she was 55 years young, she sadly has really suffered with Sun-downers syndrome kicks in around 4pm every day like clock work, and her memory suffers worse. Not a lot of hope but we both pray and hope for better medications or better yet, a CURE!! God bless all that suffer with this horrible illness, Alzheimer's is "NOT" an individual illness, it IS a family illness!! This post reminds me so much of my grandmother, we call ed her Nanny. She had Alz . Her & Big Daddy as we called him had a marriage/romance made in Heaven. I think. He always called her Baby, she always came 1st no matter what even once Alz. Took her memory & she didn’t know him , my mom , my Aunt ,or Uncle. And certainly not us 9 grand kids. Even When she didn’t know how to find her way around the house they’D been living in over 20 years or the time she hauled off & slapped the mess out of him. He still called her his baby & the love of his life. Alz is the worst thing ever, Thanks for sharing your story.